Bill Haner brings more than 20 years of industry experience to Erb Equipment. 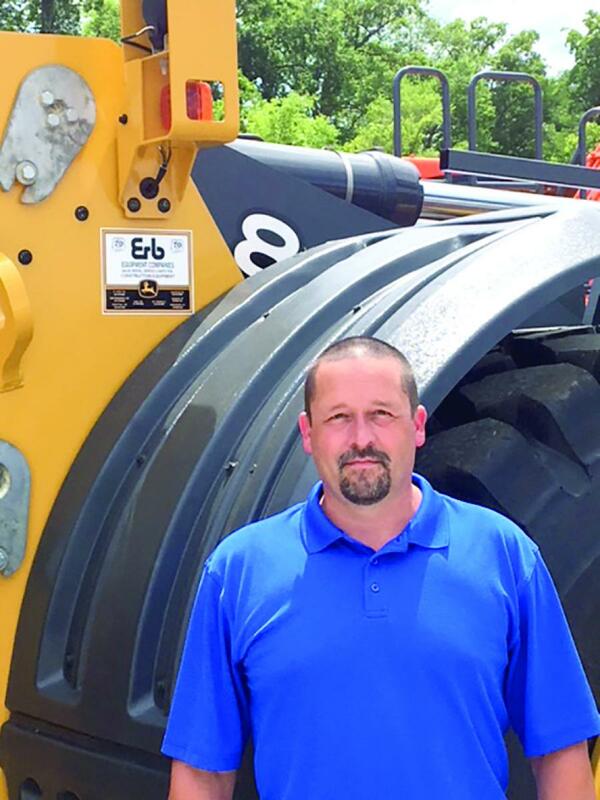 Erb Equipment recently announced that Bill Haner has been hired as the new Paducah store manager. Haner has more than 20 years of industry experience, primarily in product support, including the past 17 years with another dealer. He started at the Paducah store June 15. Erb Equipment is a trusted source for all outdoor power equipment needs. The company offers sales and service locally and online. Erb Equipment carries a wide selection of products and services for brands including: John Deere, STIHL, Exmark, Honda Power Equipment, Frontier, Billy Goat, Woods, Kawasaki, Briggs & Stratton and Kohler. Erb Equipment has been serving its customers since 1944 and operates eight stores in four states —Missouri, Illinois, Indiana and Kentucky. Besides outdoor power equipment, Erb Equipment also offers a selection of industrial equipment from John Deere, NPK, Genesis, Bomag and Trail King Trailers. For more information, visit www.erbequipment.com.